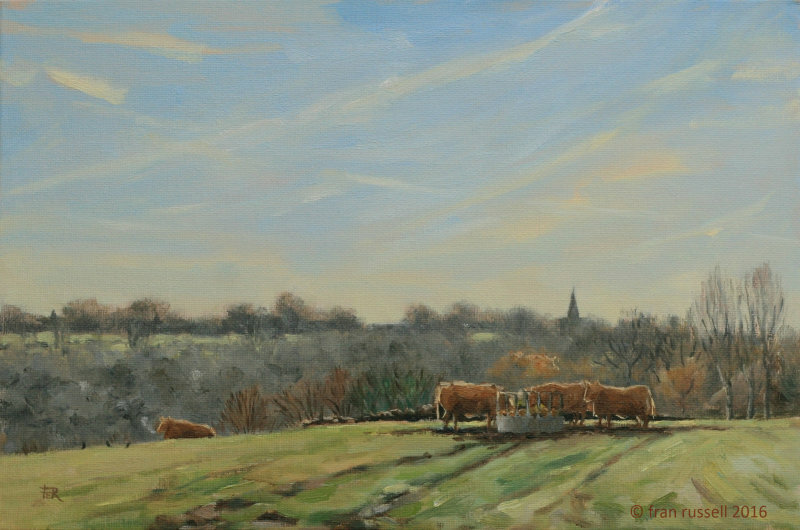 With the weather so fabulous I thought it was too good an opportunity to miss so off I went to paint some cattle. I had admired these beautiful creatures when driving past recently and today they didn't disappoint. I loved trying to capture them with the distant early winter view towards Hawkhurst and vapour trails in the sky as a backdrop. It was a great day to be out there! The farmer very kindly turned up on his tractor to provide them with some silage, so I was really lucky to capture some of them at their feeding rack.